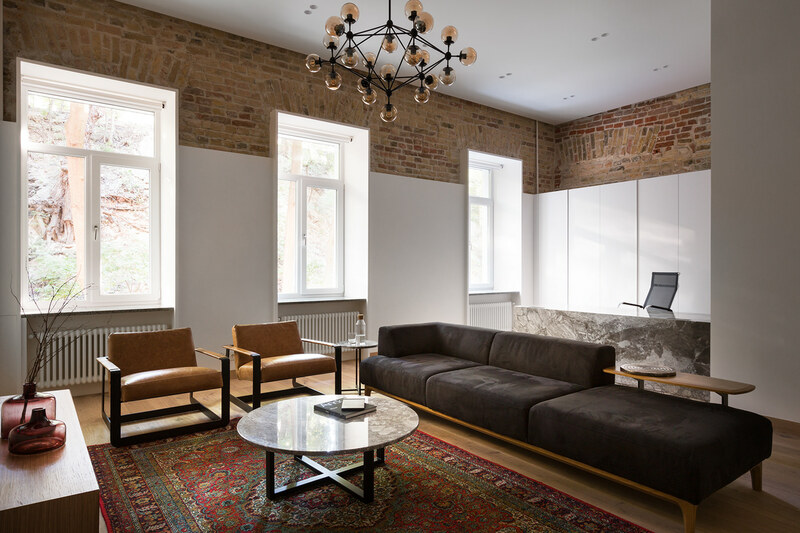 The office is situated in Vilnius (Lithuania) in its Old Town - historical well-known district declared a UNESCO World Heritage Site. 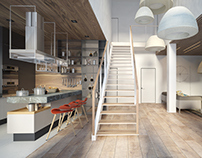 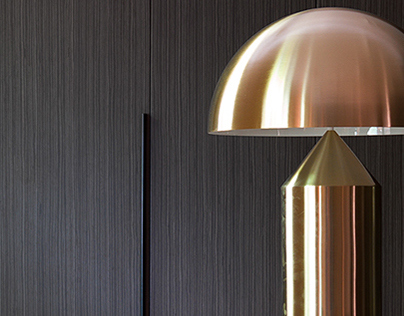 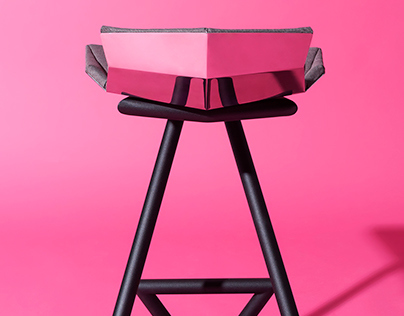 The location peculiarities serve as a milestone of the project concept. 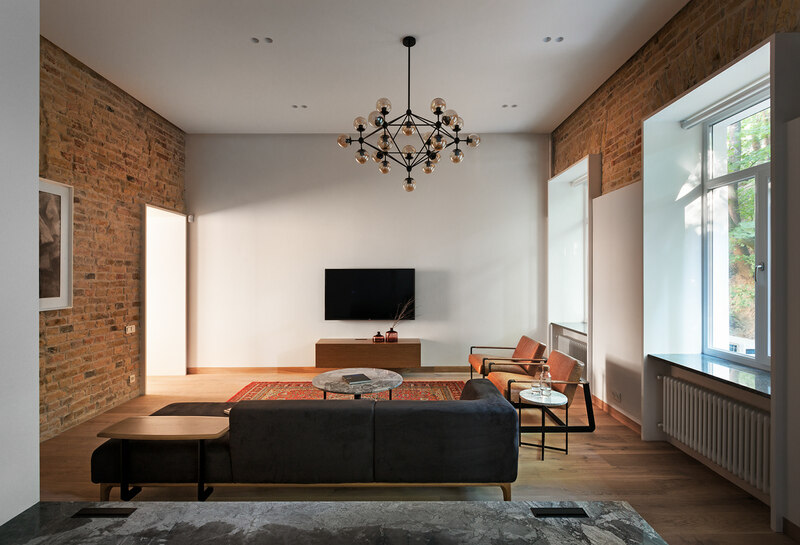 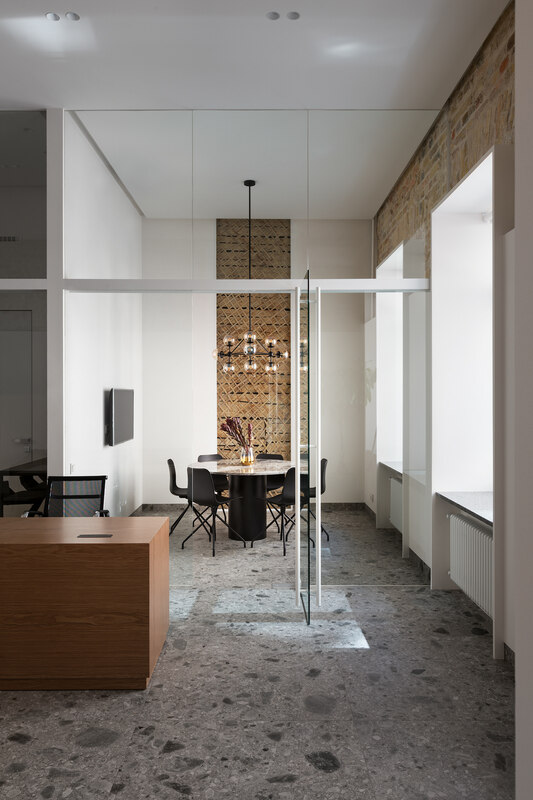 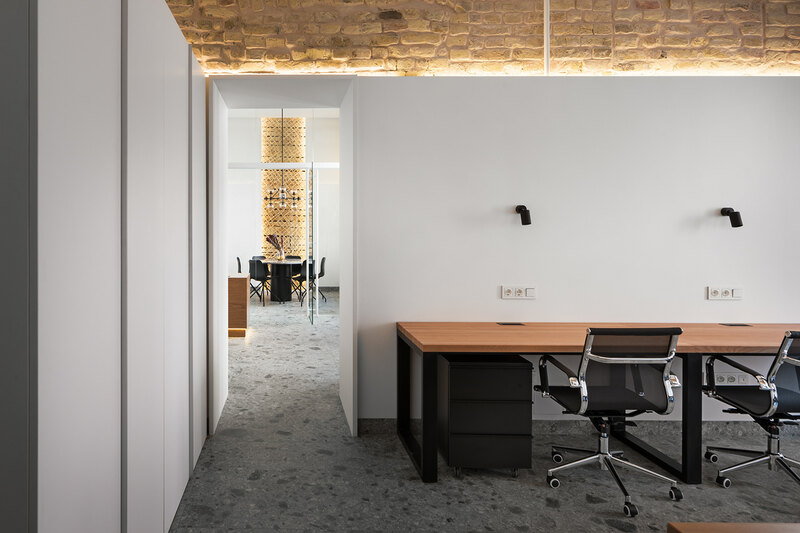 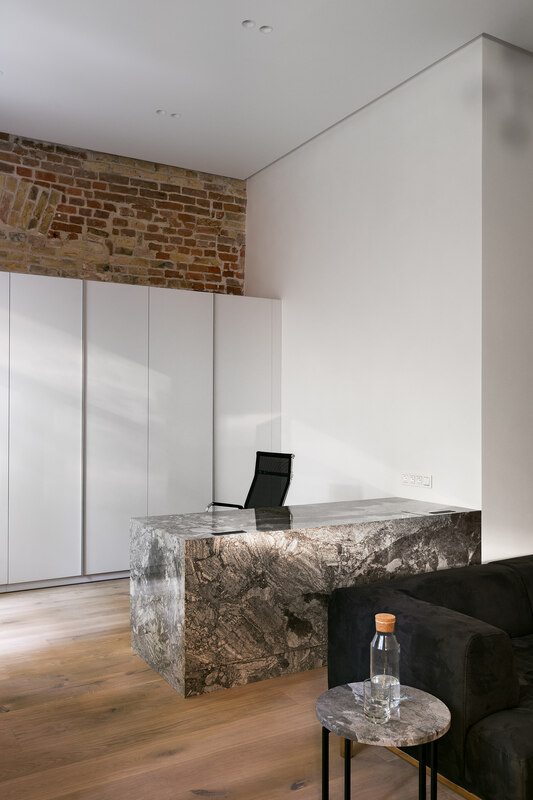 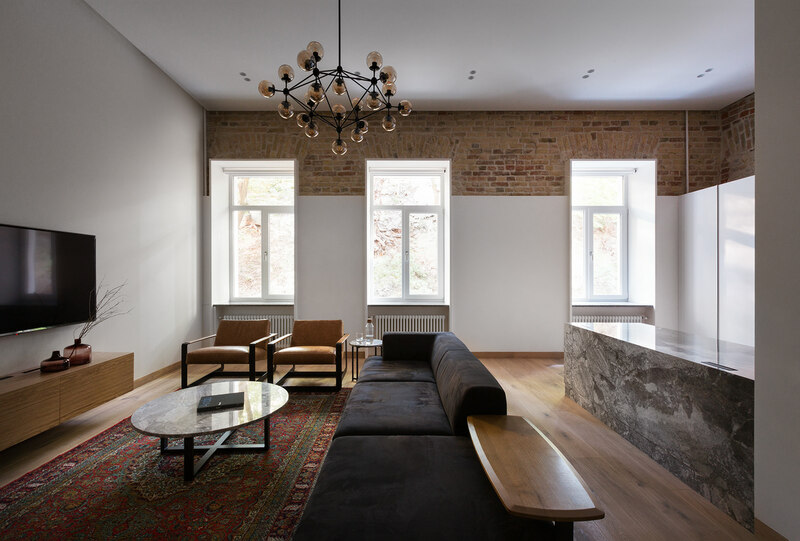 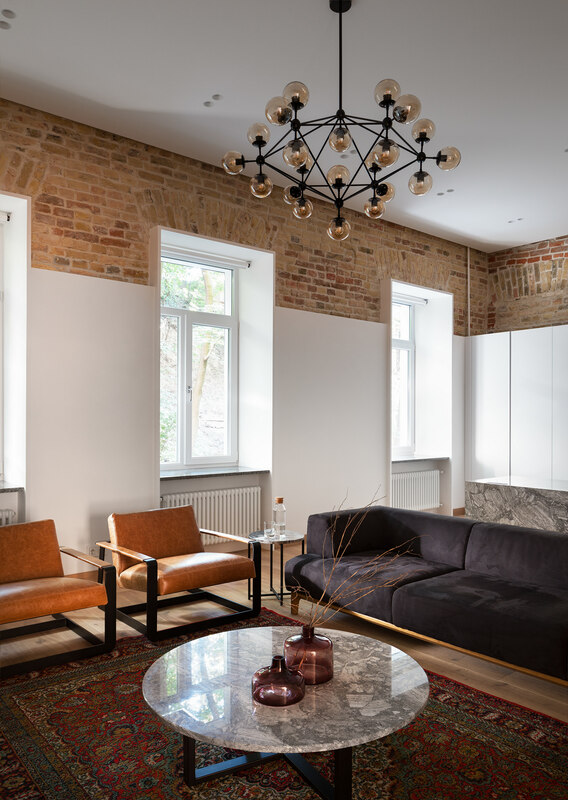 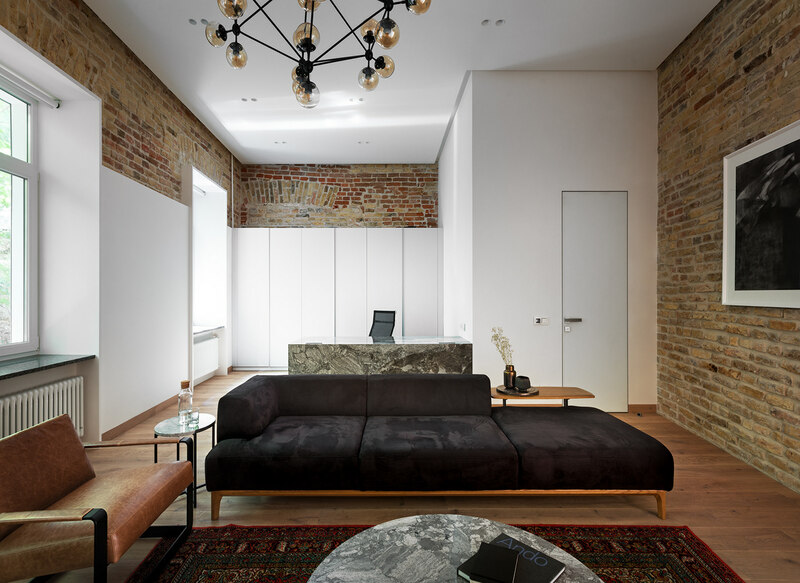 Thus the key task was to preserve the existing authentic brickwork together with other original architectural elements such as the wooden grid in the meeting room. 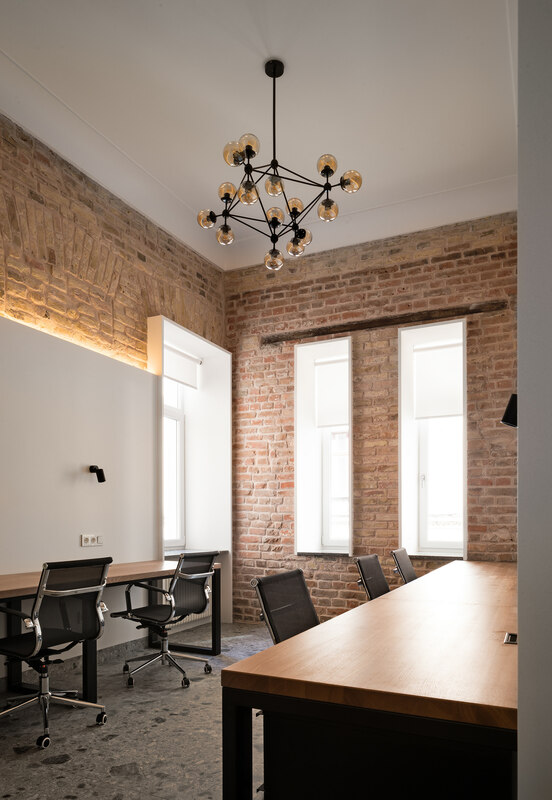 White walls pattern that is used throughout the entire office space combines two functions: a decorative one in order to hide the heating pipes together with the electrical wiring and functional purpose to provide the illumination.